For the time being, we need to file this under rumor. A fun rumor, nonetheless. According to msmobiles, Samsung is not going to simply release one Omnia handset. They have bigger plans for the design type. Plans that include Android. Windows Mobile was not used for Omnia HD because of Microsoft. Samsung (which is based in Korea) will not admit it publicly because Koreans are extremely polite. 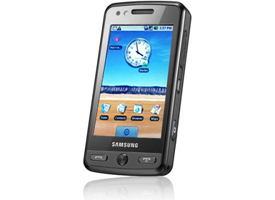 However the reality is that Microsoft was too late with next versions of Windows Mobile and Koreans were not satisfied with them, so, despite Omnia powered by Windows Mobile having very good sales, Samsung decided to use Symbian for Omnia HD.